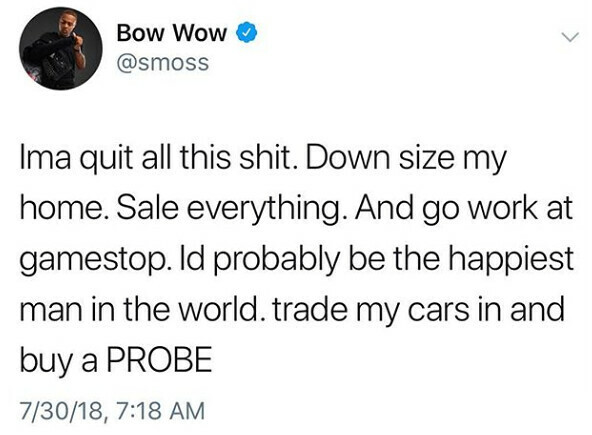 Bow Wow Threatens To Give Away His Wealth: "Let's See If You Think Money Makes You Happy"
Shad Moss aka Bow Wow is in a foul mood and took to Twitter Monday morning, July 30, to vent. 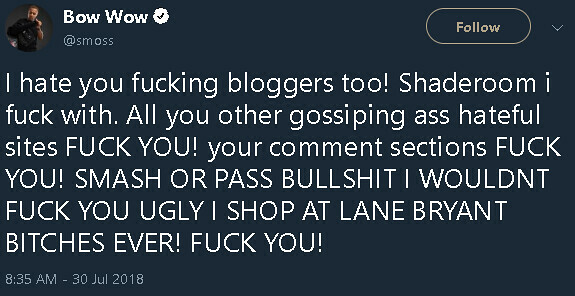 The 31-year old rapper and actor went off on everything from quitting rap to go to work for Gamestop, the hatred he receives in his hometown of Columbus, Ohio, not wanting to go on Jermaine Dupri's So So Def Tour, his disdain for bloggers and unattractive women. At one point he threatened to give away all of his money. "Im cash apping all my money away today. 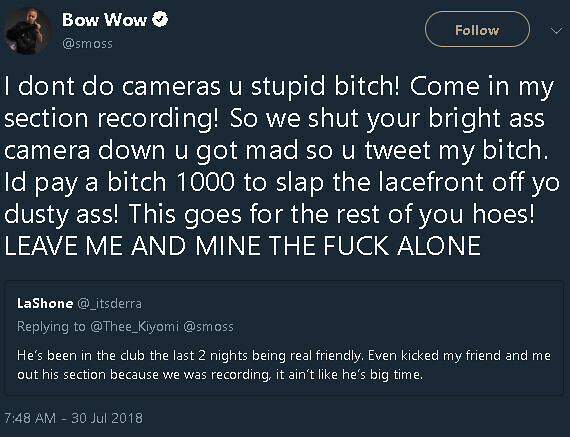 So if you want some free money yall can have it... lets see if you think money makes you happy," Bow Wow wrote. It didn't take long for Twitter users to start flooding the "Like You" hit makers timeline with their Cash App information. Whether or not he actually gave away any funds is unclear.